More of the GOTY, please. The footage is wild. This game is absolutely gorgeous and epic! In all seriousness though, this game is so brilliant you can just take it to a desert island and be entertained for months and months. Also, some of the decisions make you wonder what would/will happen if chosed a different option. Many reviewers said their ending was very different than their colleagues. Replayability will be crazy, for those with the time and fortitude to replay a 100+ hours game right after finishing it for the first time. Anyway, time to eat, watch a little bit of Castlevania's Season 2 - very good so far - and then jump back in the saddle. PS. @Driftwood: You guys need to cleanse yourselves of all inpure and malevolent energies, otherwise your curse will continue forever. You guys might be the unluckiest gaming site I have ever known, when it comes to technical problems. I have the PS4 version, however, I still like your footage to admire the visuals. Any chance you can put up some PS4 Pro footage? I am a Patreon, but if all of the footage is just Xbone X, it is hard to justify my support. Even though I like to support the stuff you guys do. Would be good to have a bit of both at least. We will eventually, but it all depends on davton and he's had a pretty rough week. starts out with rich lighting and great drawing distance. RDR2 is a good technical showcase for open world game environments. also great weather system too. Currently I'm still playing a couple open world games already. (really love FH4) so this will be on backlog for me. which also reminds me, there is definitely quite a few open-world games out there already. which RDR2 adds to this, at least in a great way. 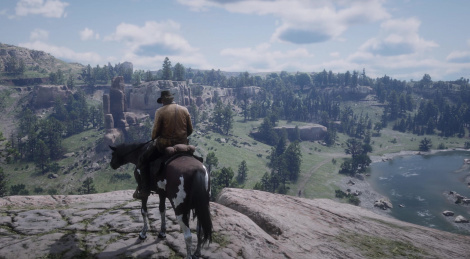 obviously Open world is the only choice for the Red Dead series, having horses and wildlife being a major part of the gameplay. so yeah it works great. The question though is, has open-world become the typical standard this gen? the answer is, likely it will be. since very few like spending a considerable amount of money on small content. recalling this age old discussion many times before. open world is the inevitable future of standard games. 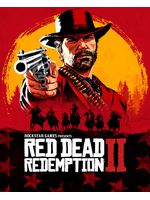 Going past Red Dead and FH which have plenty reason to be open world, since there is no changing these franchises because of how better off they are. which leaves Open-world hub-world an option for other titles. it can turn out to be the best of both worlds. and might turn out to be a big restoration of traditional single player games, as we move forward to larger games. the concept of large mini maps inside of a larger world seems like attractive venture apposed to just wandering around in some other games that may feel empty. Okay, thanks man. Sorry to hear about Davton, hope things get better for him. I think you'll get what we've always gotten. A mix of everything. Not everything fits open world and not everything can realistically maintain their features or details if they moved into an open world (hitman, for instance would need far too much time and effort to make something as dynamic as those games In a world the size of GTA). There will always be linear games. Hub based games and open worlds. Open worlds will likely get bigger and bigger and more and more bloated as they have been since they started out and linear games will likely get more and more cinematic. Things like god of war and Arkham asylum will always be there striking a nice balance between the two. I don't see a situation where open world becomes the standard for anything really.